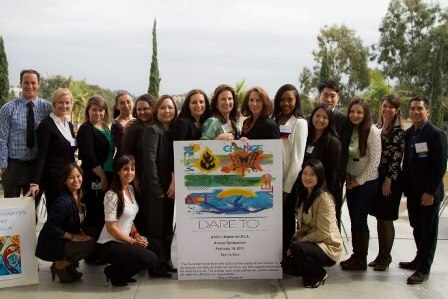 Visit the AACN Chapter website at www.aacn.org/ucla to learn more about the chapter or Email us at ucla.info@aacn.org. JOIN US on Facebook https://www.facebook.com/groups/aacn.ucla. AACN is the largest nursing organization in the world, representing the nurses caring for acutely and critically ill patients. The association is dedicated to provide the members with knowledge and resources necessary to provide optimal care to the patients. Become a member today and explore the benefits of joining the organization! Chapter Mission - The AACN (American Association of Critical Care Nurses) chapter at UCLA was created in early 2010 to serve and connect groups of critical & progressive care nurses and nursing students in the Greater Los Angeles area. The Chapter is committed to professional integrity, education, and promoting quality nursing care. We strive to communicate our passion to our profession by supporting innovation in healthcare as well as inspiring ourselves, our patients, and our colleagues. Chapter Vision - To create an avenue for professional growth through educational events; to provide innovative care and inspiration for ourselves, our patients, and our colleagues.